A doctor or other healthcare professional’s negligence or reckless behavior can leave a patient injured, in a worsened condition, disabled, or dead. This recklessness and negligence is known as medical malpractice. Individuals who have suffered from medical malpractice and their loved ones can seek monetary compensation for the economic damages caused by this type of negligence. $206,668,250 was paid out to New Jersey medical malpractice claimants in 2012. In many cases, an injury caused by medical malpractice is not discovered for months or even years after the negligent act that caused it. If an infant is injured prior to or during birth, his or her family may seek compensation for the injuries. A healthcare professional’s negligence can create a financial burden on you or your family for years, decades, or even a lifetime. You have the right to seek compensation for these damages if you are a victim. We can protect this right and help you get the money you deserve. Too much medication can harm a patient and too little can fail to effectively treat the patient’s condition. If a patient is prescribed too much, too little, or the wrong type of medication, he or she could have grounds for a medical malpractice claim. If a doctor fails to correctly diagnose a patient’s condition, the patient can potentially suffer from a significantly worsened condition. When a physician or other member of the hospital staff fails to administer drugs correctly prior to or during birth, handles a newborn with too much force, or fails to inform an expectant mother of potential health problems with the fetus, the resulting injuries or health problems can be classified as birth injuries and are grounds for a medical malpractice claim. At Cohen, Placitella & Roth, P.C., we are sensitive to the issues you may be facing after you have been injured through medical malpractice. Our knowledgeable medical malpractice attorneys can guide you through the steps of filing and pursuing your medical malpractice claim in Cherry Hill, New Jersey. A medical malpractice claim is more than just stating that you have been injured and receiving a settlement. You need to prove that you have suffered and how it has impacted your life financially. To do this, you need to develop a body of evidence for your claim. Our firm has the resources necessary to get this evidence for you. Our firm has an extensive professional network available to help you build evidence for your claim. Various professionals can contribute evidence, such as your doctor and close friends and family members who have seen you suffer from your injury. The evidence that these individuals provide plays a significant role in your claim. Examples of this evidence includes your diagnosis, the procedure or failure to diagnose that lead to your injury or condition, a new diagnosis, and documentation that you are receiving treatment to correct the issue. Our job as your attorney is to compile this evidence to use as proof of your need for the money you are seeking. Once we have compiled this evidence, we develop a strong claim for your case. Our firm's professional network is part of what makes us able to do this so thoroughly. We take the time to contact any individual who can provide useful evidence for your case and work to develop that evidence until there are no further questions regarding what happened and what you need. Cohen, Placitella & Roth, P.C., has a network that spans throughout New Jersey and beyond. 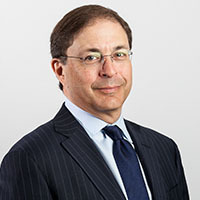 Cohen, Placitella & Roth, P.C. has been recognized by the American Association for Justice, Super Lawyers, The Trial Lawyer Roundtable, and other legal field advisory boards for its excellent service. For more than 40 years, our team has handled medical malpractice cases. We can draw upon this experience to provide you with personalized legal counsel and representation. $2 million recovered for a patient who was paralyzed following hospital staff's failure to comply with correct spinal cord protection procedures. A $3.5 million recovery for a patient blinded by a physician's failure to properly administer anesthesia during surgery. $7.5 million for the family of a newborn who suffered from cerebral palsy because of a doctor's negligence during the child's birth. $14.5 million for the family of a child who suffered brain damage because of a doctor's failure to provide correct post-operative care.